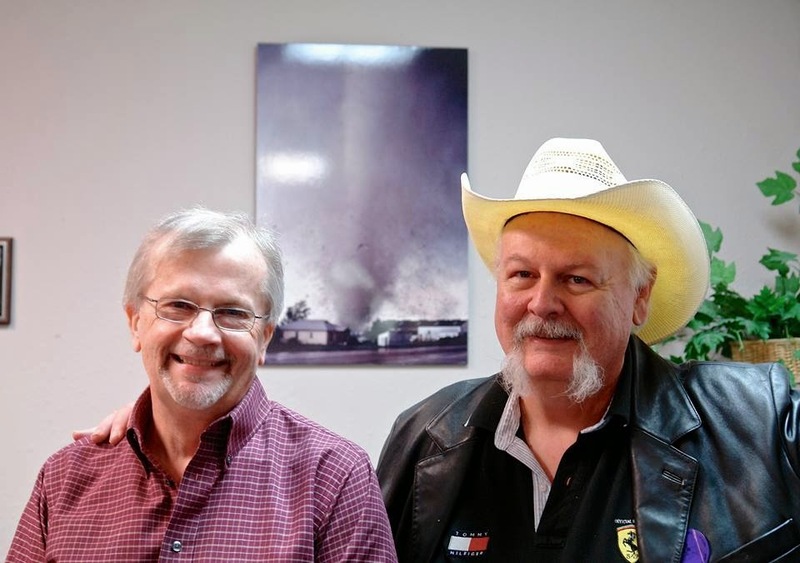 Today, I woke up to the awful news of the death of my long-time chase partner, friend, and colleague, Alan R. Moller. He finally succumbed to early-onset Alzheimer's, taken from us years before his body finally died by that cruel affliction. Seeing his razor-sharp mind and amazing memory stolen from him slowly was difficult to endure: among his last words to me were: "Do I know you?" When I told him we'd been friends for more than 40 years, he said "That's amazing." I realized then that the man I knew was gone, and the end of his body was inevitable. I just couldn't endure seeing him that way again. It was too much for me to take. My deepest gratitude to his DFW-area friends: Sam Barricklow, Carson Eads, Tim Marshall, Ed Cohen, and others. They visited him and helped to brighten his days as the end drew near. Fortunately, I have the memories of that long-enduring friendship, beginning in 1972, to cherish. The Al Moller I knew was a wonderfully complex person, with an inquisitive, deeply-probing mind, a high-powered thinker on many topics, a person who willingly gave of his time and resources to anyone and everyone who needed them, something of a volatile temper, a wry sense of humor, often impatient but very devoted to his passions: forecasting, storm chasing, drag racing, western art, blues music, photography, and so on. Fortunately, I got the benefit from the extended time spent with him during our chase expeditions. I treasure that time, now. It's how I want to remember him. When it came to his passions, Al could be very outspoken. This was something of a problem for his efforts to climb the career ladder, but he never, ever sacrificed his principles in order to avoid ruffling bureaucratic feathers. He didn't suffer incompetence or stupidity very willingly. He stayed an idealist all his life. Anyone lucky enough to have attended one of his public presentations was in for a real treat. At the end of the formal scientific presentation, he would often put on a "bonus" slide show of his favorite images. Not just storms, but photographs of wildflowers, mountain scenery, fall foliage, ... any outdoor landscape he might encounter on his journeys. With each new image on the screen, there would be a moment of stunned silence, followed by a collective sharp intake of breath - the actual definition of what it means to be "breathtaking". His slide shows were famous, and more than worthy of that involuntary reaction. And it wasn't a case of Al bragging about his great photographs, either - he simply wanted to share the beauty he saw with others. No, those slide shows weren't showing off, but passing on the marvelous moments he'd been able to capture. Chasing with Al made me a much better photographer, as a by-product, but he was always the master. When we chased together, it wasn't uncommon for us to get into loud, vigorous arguments - shouting matches, more or less. These never even came close to becoming a cause for us to give up our friendship. We both were stubborn, opinionated people, but with a deep mutual respect for each other. I appreciated that Al wouldn't hesitate to catch me up if he thought I'd said something stupid or incorrect. These arguments never detracted from the fun we had chasing together - chasing with Al was something I looked forward to during the time of our chasing partnership. Eventually, the time came to end that part of our relationship, but it's something I enjoyed tremendously while it endured! Al also had a passion for public service, as well as for forecasting and severe storms. This he discussed with me during our chases together. He was profoundly committed to that, doing spotter training talks all over north TX and elsewhere - the best spotter training anyone could have asked for, dispensed with his unique style and panache. It was from him that I learned that a good forecast/warning wasn't the end of the story. There was much that had to happen after a weather forecast product left the forecast office, and Al was unshakably determined to do whatever he could to make those things happen. Al cared about people ... all people ... and did whatever it took to help them, if they needed something. I'm proud to have known Al - he helped me, too, in many ways. His passing leaves a hole that can never be filled, but he gave us all so much - a legacy any man would be proud of, at the end. His contributions go far beyond those he touched personally - people who never knew Al, but have benefited from his huge legacy without knowing from whom the benefit originated.